Some of us get stung by a wasp and skip exercise for a week. 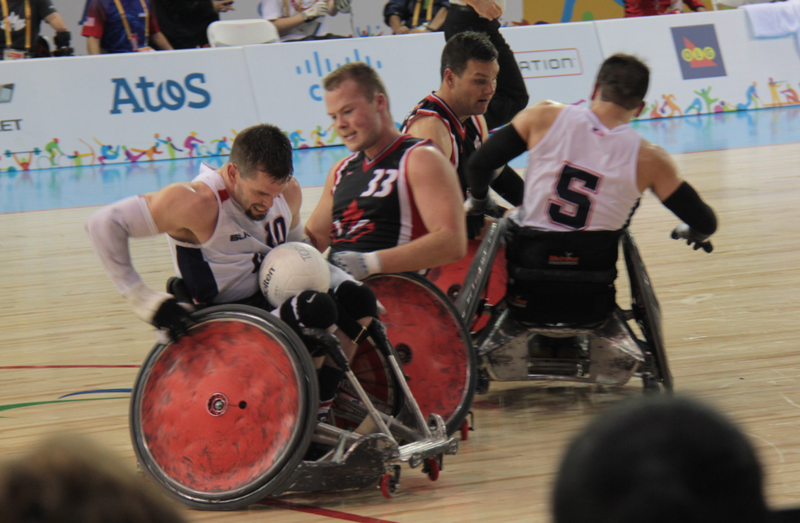 Others loose fingers and legs to septic infection and go on to bring Canada to gold through the brutal, hair-raising, sensational sport known as wheelchair rugby. Yes, it really is a sport, a damed entertaining one at that. 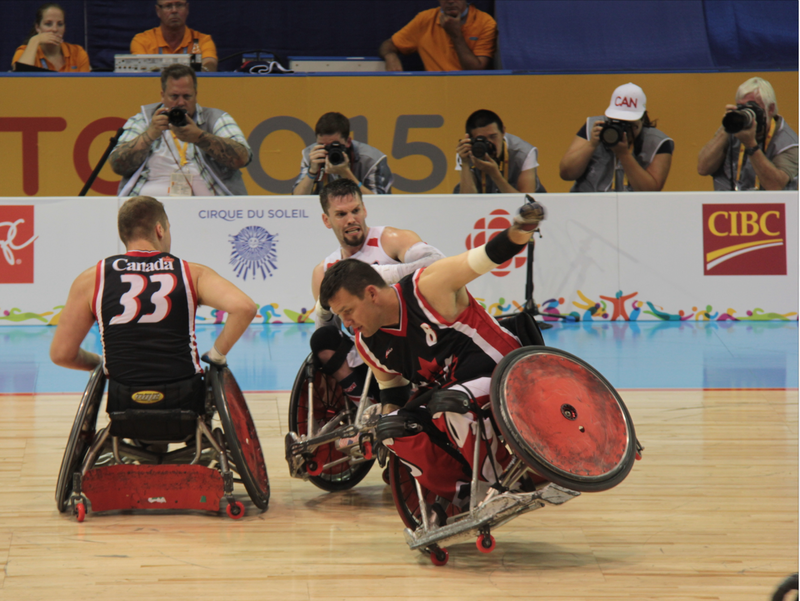 Originally known as ‘Murderball’, wheelchair rugby is a Canadian made sport, first established in Winnipeg in 1976. Calling it a ‘contact sport’ is an understatement, the phrase ‘impact sport’ is more accurate. 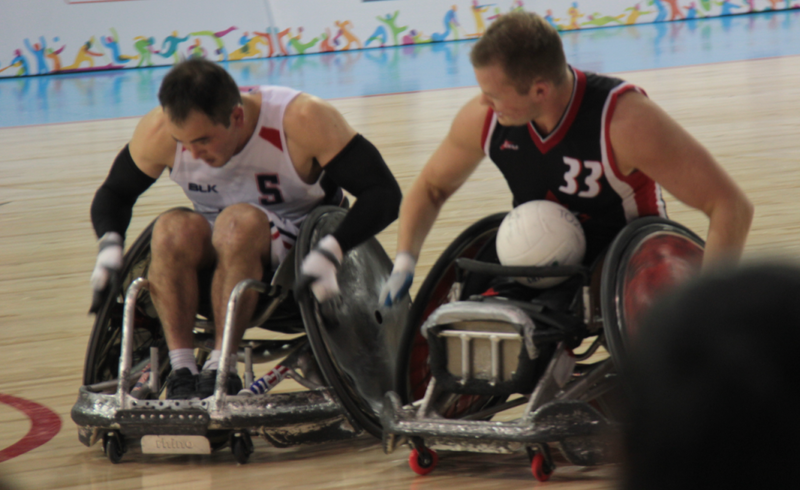 When opposing players connect they smash into each other with a terrific clang of metal wheel-plates and steel safety cages. It is played on a hardwood court with rule elements from wheelchair basketball, ice-hockey, handball and rugby union. It’s easy to follow for non-sports proficient audiences, but its uncomplicated directness is part of the draw, and does not detract from the merit of the sport. Beyond the surface entertainment of the sport, are the stories of the men and women that play. For me, as a producer and storyteller, it’s the people behind the sport that create the allure, and in para-sport, the athletes and their stories are often extremely compelling, which makes para-sport complex and exiting to watch. In this age of corporate-money pumped sport, there is something refreshingly untainted about para-sport. I’m not what you’d call a sports enthusiast, but if all sport had as much intrigue and personality as Wheelchair Rugby, I’d be tuning in a lot more often with hot-wings and face-paint to boot. Chalkboard Media © Copyright 2015 . All Rights Reserved.